Is Pope Francis the Last Hope for Life and Family in Argentina? A source in Argentina has provided me with some perceptive observations on the recent intervention from Pope Francis timed - to many commentator's bewilderment - after the recent vote in Ireland and the more recent parliamentary vote in Argentina on liberalising abortion laws in these respective countries. Perhaps unsurprisingly, 'our man in Argentina' places the sudden papal defence of the unborn in the light of politics surrounding the bill approved at the Deputies House and is about to be voted in the Argentinian Senate. Firstly, a brief introduction to the pitfalls of Argentine politics are called for. Argentinian politics are very complicated and while even today's political wranglings must be seen in as expressions of an ebbing and flowing Peronist-Antiperonist dialectic. "Peronism", he says, "can be anything, can be right and even far right or can be left to even a Marxist level. No matter what political expression it takes, Peronism is essentially a power-building machine. A maurrasian politic d´abord, but sick. The only Peronist principle - a principle observable in this pontificate - is loyalty, in the Mafia sense of the word." "Sometimes Peronism can achieve the good, like when in 1974 the ideology led the defense against the Malthusian offensive in the UN Bucharest Population Conference. Similarly, it can turn against family and life when it is convenient." Argentina has been ruled for 12 years (2003-2015) by a Leftist Peronist administration by the late Nestor Kirchner, succeeded by his wife Cristina Fernandez de Kirchner. The character of that government was almost Marxist, Chavezist-leaning and tyrannical. Back in those days, Jorge Bergoglio was the Archbishop of Buenos Aires and Primate Cardinal. Even though he is a Peronist his relationship with the Kirchners was bad, but for entirely unknown reasons. The Kirchners tended to see him as the main opposition leader. Note, Pope Francis isn't late to Argentinian politics. Even as an Archbishop, he enjoyed the political clout that being a Catholic Cardinal in a Catholic country afforded him. While he has remained a political creature after his ascendency to the Throne of Peter, his publicly poor relationship with the Kirchners dramatically changed, for entirely unknown reasons, when he was elected Pope. A coalition was built against Kirchnerism, and this coalition finally won the election in 2015. This political alliance (Cambiemos – Let´s Change) was built by all the anti-Peronist forces: liberals, conservatives, socialists and others forming an unlikely mix. Mauricio Macri was the leader of this coalition, now he is the President. Mauricio Macri was seen by most of the people as quite a conservative culturally and somewhat a free market supporter. But the most important thing for everyone at that time was to drive the Kirchners out. Peronism was divided during the election and many Peronists voted Cambiemos. Catholics were divided too, their vote split between Kirchnerismo (and here we see some Bergoglian influence) and Cambiemos. Mauricio Macri was quite LGBT agenda leaning (and so are the Kirchnerism) but he said during the campaign that abortion law would not be touched in his government and that he was a strong life supporter. It is important to note here that Cristina Kirchner strongly opposed abortion during her government and that she even thwarted abortionist initiatives presented by her own party in Parliament. Actually, Macri is a postmodern political persona, a product of political-sociological marketing, perhaps taking someone like Tony Blair as his model. He seems as he want to be a Latin American Macron or Justin Trudeau. In short, however, political struggle in Argentina is the struggle between the paleozoic bolivarian Latin American left of the Kirchnerism and the modern global Obamaist leaning left of Cambiemos. Bergoglio represents the first, and Macri the latter. They really detest each other, in fact. Macri has a touch of the global elite's annointed one in Latin America about him. He has been chosen to host the G20 meeting, he was a special guest of Justin Trudeau at the G7 meeting ten days ago and he has a good relation with him. Argentina, meanwhile, is facing heavy economic headwinds and called in the IMF for aid one month ago. The deficit is rampant, inflation is about 35% and the country is heavily indebted in dollars in the context of rising international rates. As readers might know, at the G7 meeting was too Christine Lagarde, president of the IMF. The radical feminist agenda was publicly established there, and it is very unlikely that Macri was not put under a lot of pressure by Trudeau and Lagarde and others. Trump disrupted the meeting and then left without signing the declaration. Before the G7 meeting, he had put the abortion law in discussion contrary to what he had said in his election campaign. In addition to this, he clarified that he would not veto it in the case of it coming out as approved. That was a slap on the face to the majority of his voters. Despite the Latin American Catholic collapse in faith, people in Argentina are in the majority against abortion. People were not happy and marches against the law were massive. Many (if not most) of the marchers were Cambiemos voters and the abortionists are mostly very young females, extreme left leaning, femen-type activists who would never give their vote to Cambiemos. That can be taken as a sign that he needs the law and he is under pressure for it from some people, somewhere, but not the Argentinian people themselves. Last Wednesday, then, was the day when the deputies voted. At the beginning of the night, the life campaign was winning by seven votes, according to polls and projections. The Government put a lot of pressure on the deputies, even trading money for the provinces in exchange for votes. That went out in the very morning after and it was a shocking scandal. People in Argentina are extremely angry about the way this vote has gone. The thing is that many people fear that going against the government would be to favour the Kirchners. And if the Government does not get the votes for the approval, the IMF will not send the money. That would lead the country into further and deeper economic chaos. Of course, those who campaigned against the bill consider this factor to be insignificant compared to the value of the sanctity of life at stake in the bill and would prefer to face anything except the killing of the unborn. They marched last Wednesday and are struggling hard against the law, no matter what consequences come their way. Despite the horrific setback for life, some positive trends are emerging as a result of the deputies decision. For instance, now that International Planned Parenthood is a household name for everyone in Argentina, many people are talking about the millions they are sending to build up the pro-abortion lobby. Similiarly, people are openly discussing the UN's positions on abortion and its influence over sovereign governments such as that of Argentina. Things that everyone considered conspiracy theories a month ago are becoming a common knowledge and talking points now. What is Pope Francis playing at? The morning after the vote, when campaigners were exhausted after the vigil, the night spent in front of the Congress, Pope Francis sent a tweet congratulating the people watching the World Cup. That raised in Argentina a tsunami of fury against him. People felt betrayed by everyone: the political system, the party they had voted, the silent Bishops, and now even the Pope (though Catholics in Argentina had never expected much from him), this was seen as beyond the pale. Maybe he realized his mistake, maybe he did not, but the remarkable thing now is that he sent a very powerful message against abortion and in support of families. Less widely known is the report that he asked for the list of the abortionist voters in Parliament. b) He is about to go full swing against Macri and is using this issue as leverage against him. If he does that, he might even topple the Government mounting the Peronist deputies and the people against them. Unfortunately, because Jorge Mario Bergoglio has always been a shrewd and obscure political operator, we don´t know for sure the reason he has done it. In the first case, is very likely that abortion will pass even when the Senate is more conservative than the Deputies Chamber, because if the clergy does not care much, no one will. In the second case, it would be a case of the Church struggling against the global elites and what is increasingly termed 'the New World Order', and coming out victorious. 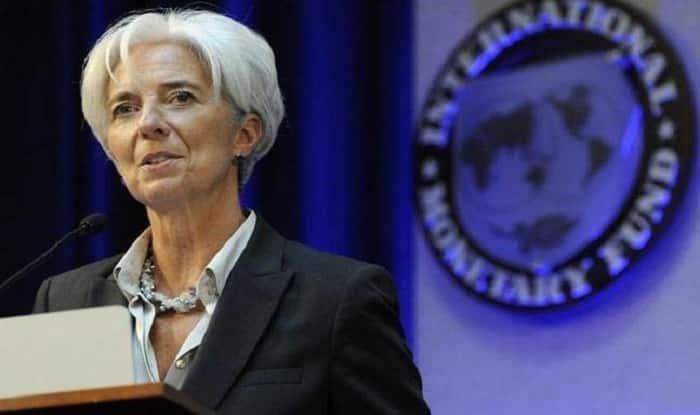 Argentina may then pay the price in a deeper economic crisis if the IMF and World Bank retire themselves from the table because the political establishment did not play ball. "That would", in the words of my Argentinian source, "be really painful, but it is better to offer our pain than the innocent blood for money." With Cardinal Parolin having been to the Bilderberg Meeting recently, it seems an unlikely scenario that we see now Pope Francis vs. the IMF, or Pope Francis vs George Soros or even Pope Francis vs Planned Parenthood, but the idea of Pope Francis saving lives - for frankly any reason - or doing battle against the spirit of the World is and will remain for Catholics appealing. Where he does God's will, he is surely to be commended on that. Hopefully, his salvo in defence of the unborn is sincere If Francis is angling at defeating the abortion bill in Argentina, because of his temperament, then he will need to win. He is, after all, a political animal. "He is a Jesuit," says our man in Argentina, "so it is impossible to know for sure. The plain truth of the matter is that we need the Church to face the Prince of the World, even with Francis at the helm." Thank you for this inside look at the Argentine election, and also at Pope Francis. It certainly is a tangled web but your article gave me a fresh insight into the goings-on. Closer to my genetic make-up, I wonder, then, if there were similar behind-the-scenes plots taking place in the Irish election. I love the idea that Bishop Schneider is going to be speaking in Dublin at the same time that Pope Francis will be doing the 'family' meeting, but speaking, with Cardinal Burke, against abortion and for the return of the Faith to Ireland. I pray all goes well, for both countries. Bergoglio is a Peronist who sides with whatever and whomever feeds his opportunity. There is no ground of truth , no ground of ethics in him. Bergoglio is for whatever works. That his recent pro-life comments are sincere is truly too foolish to be credible. He is methodically tearing the Catholic Church apart and is in the corner of George Soros and company because they are the ones right now to back. I found this article confusing and unfocused. It is known already that he is Peronist and opportunist and that he serves an anti-Cathplic agenda. The article was trying - though perhaps failed - to highlight possible reasons for his intervention on abortion, timed as it is with the Senate vote on the abortion bill. For some reason he dislikes the present government. Article is saying he is a political operator only, not a principled Pope. He hates Macri because he's not a Peronist, very simple, don't forget that he (PF) had joined Peron's party when he was 19 and after had a Rotary' special member card when he was Archbishop.....I totally agree with Barbara Jensen. Pope Francis is mute, Government is out for abortion with some resistance from some Senate members. Bishops are being pushed by the people to say or do something. Some are helping, most of them are hiding. But forget it: Bergoglio let us down. Again.